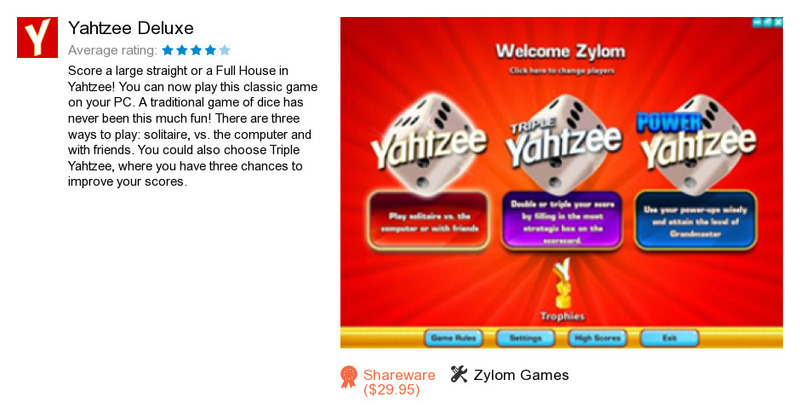 Yahtzee Deluxe is an application developed by Zylom Games. We know of version 1.0. Version 1.0.0.1 is available for free download at our site. Yahtzee Deluxe distributive has a size of 38,439,322 bytes. Zylom Games also publishes Cosmic Switch Deluxe and Trivial Pursuit Genus Edition Deluxe.